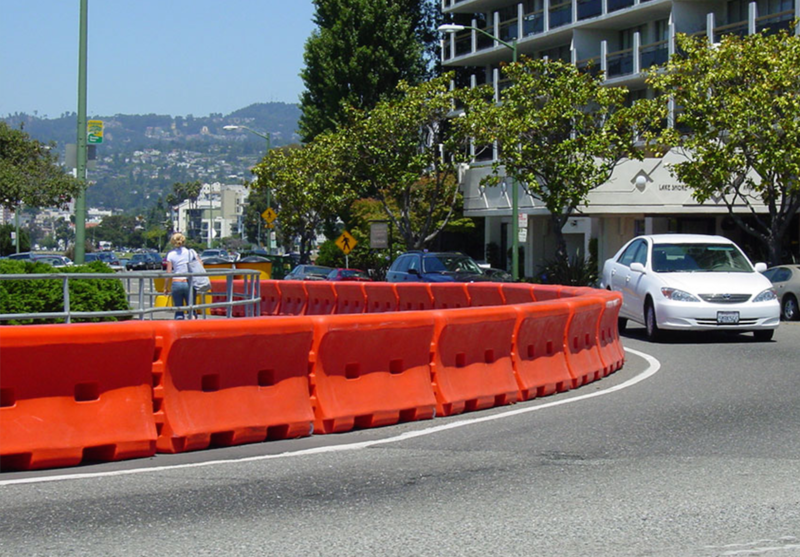 Water filled barriers are an efficient and effective solution to block off work zone areas from workers and public. Provides visual pathway for vehicles and pedestrians. 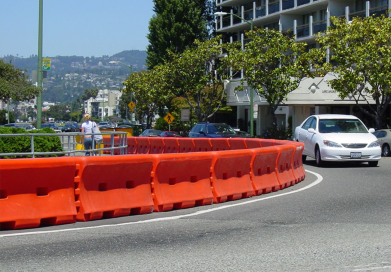 Can be used for perimeter security and crowd control.